Over 40 youngsters at Pumpkin Pie Childcare popped on their favourite jimjams to raise over £200 for The Sick Children’s Trust, a charity that supports families with seriously ill children in hospital with free ‘Home from Home’ accommodation. 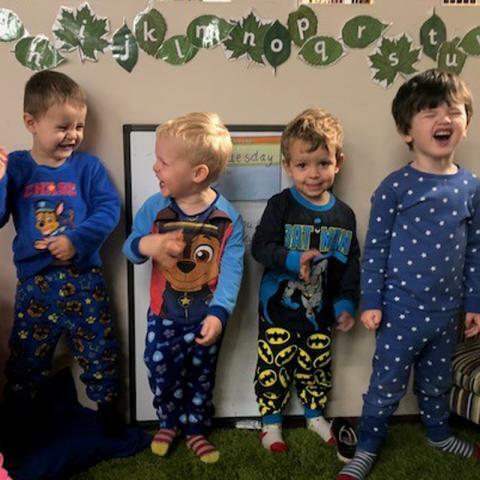 From polka dots to superheroes, 44 children and 12 staff at Pumpkin Pie Childcare, Felton, asked friends and family to sponsor them to wear their pyjamas for one whole day to take part in Pyjama Party, a fundraising campaign run by The Sick Children’s Trust. 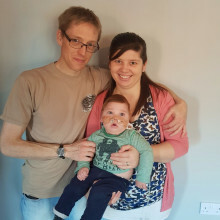 “The Sick Children’s Trust is a charity which is very close to our hearts. Pyjama Party looked like a really fun activity to take part in. 44 children and 12 staff came to nursery in their pyjamas, raising over £200 for The Sick Children’s Trust. Our older children baked cupcakes for us all, then we built a den and enjoyed hot chocolates, marshmallows and our cakes whilst listening to lots of stories with our teddy bears. “As part of our day, we decided to go for a couple of walks around the village in our pyjamas to help raise awareness - the little guys loved! We were stopped and asked why we were wearing them during the day and when we explained what we were raising money for, we were given more donations. “We’d like to thank every single child and member of staff who took part in Pyjama Party! 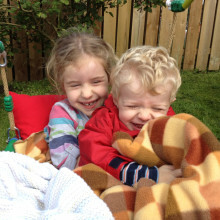 It sounds like everyone at Pumpkin Pie Childcare had so much fun getting sponsored to wear their pyjamas all day long! 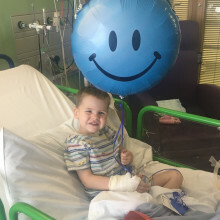 The mum of a little boy who required lifesaving treatment at a hospital over 30 miles away from home, is organising a Pyjama Party to say thank you to The Sick Children’s Trust for supporting her family. 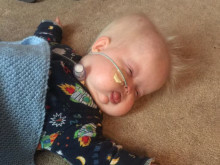 Little Ewan is an inspirational to all, and was crowned the winner of our Sleeping Beauty competition.